Water is as important to us as the air we breathe. After all, we use it to irrigate and grow the food we eat. And where does it come from naturally? In the form of rain! 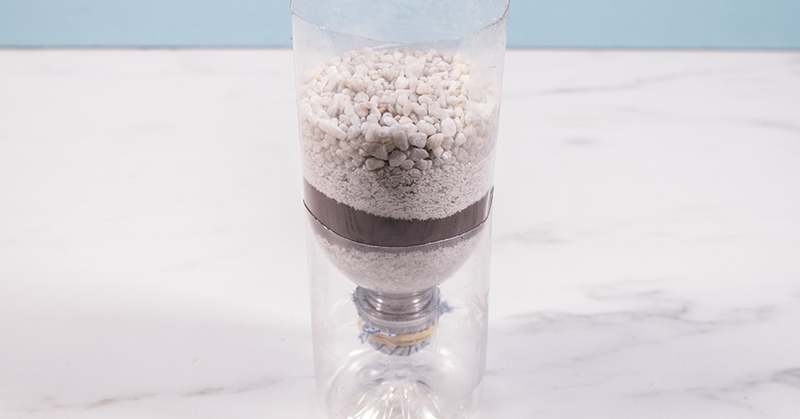 This DIY water filter is made from easy-to-find items and can help sift out unwanted particles, which is important for preventing bacteria overgrowth if you’re going to store your rainwater long-term. 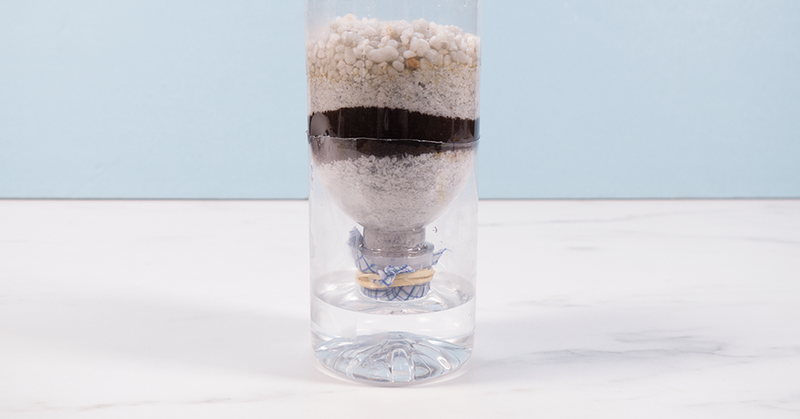 Simply catch the rain in the filter and watch as it trickles into the base. 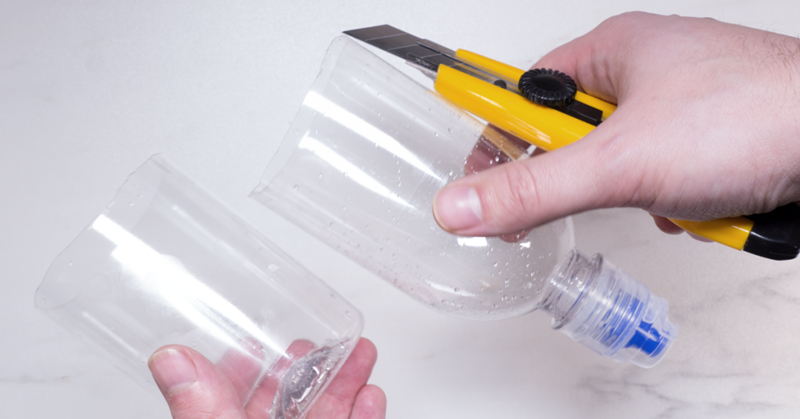 Cut your liter bottle bottom horizontally in the middle. 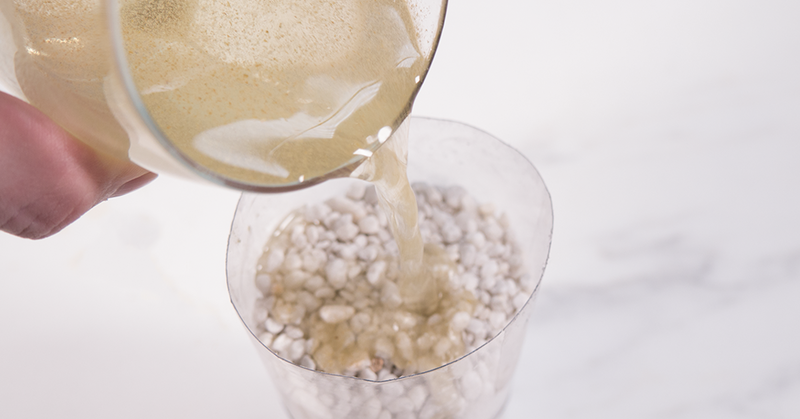 The top portion will serve as your water filter. 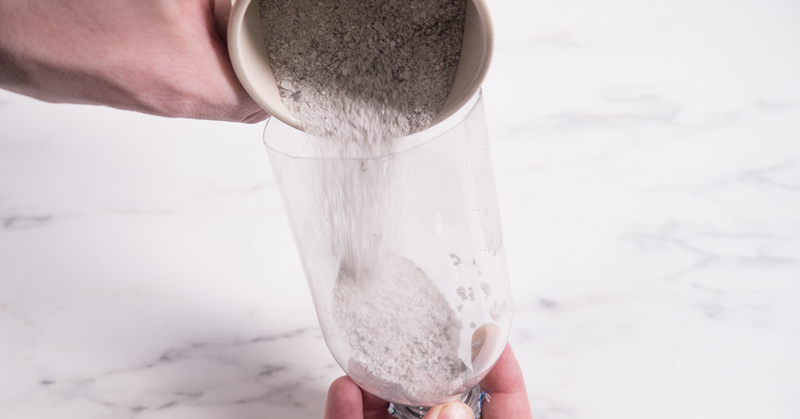 Turn your new water filter upside down and remove the lid. Fashion a piece of cloth fabric over the spout with a rubber band. Fit the water filter into the bottom part of the original bottle, which will serve as your water collector. 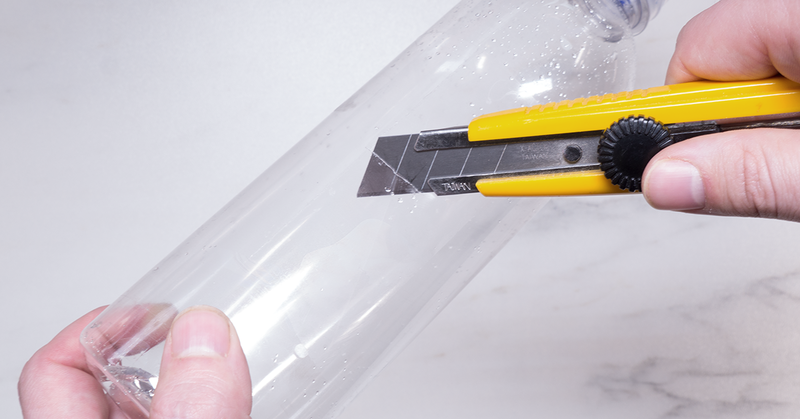 Test your rain catcher by pouring colored water into the top portion. Have your kids place your DIY water filter system outside on a rainy day to collect water and watch as it fills with clean, refreshing rain. *Disclaimer: Please exercise caution and use adult supervision when working with sharp objects and keep small pieces out of reach of young children.